Are you wondering about what you can find here? This page includes a sample CV for smart people who want to outmanoeuvre other job applicants. How can they do that? Easily. 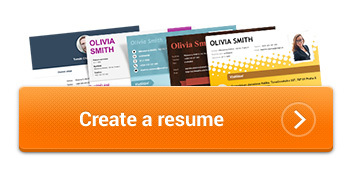 Have a look at a CV specimen which will help you get closer to your dream job. What follows is a CV specimen and instructions on how to create a perfect professional presentation of your person for your dream company. The need to distinguish yourself is a simple fact nowadays. To succeed in the current competition on the labour market may be and is more and more difficult. We would like to show you some aspects to make your CV more attractive. So if you want to learn more, continue reading. It only remains for us to wish you every success in the search for your dream occupation! Your attractive sample CV is an attractive presentation of you to your new employer. Don’t think that the preparation of a high-quality CV specimen takes only a little time. Unfortunately, the opposite is true and everyone who has tried to create a professional CV from scratch, as the saying goes, must agree with me. Include work experience and references. The preparation of a structured CV specimen is as demanding and important as, for instance, the creation of another document, which is sometimes forgotten. This document, which is also important and associated with getting a good job, is called a motivation letter motivation letter or "cover letter". Don’t underestimate this letter because it can nicely accompany your attached CV. It must be added that a lot of people do not worry a lot about writing a cover letter; therefore, you have a chance! However, writing a motivation letter follows certain principles. But we will discuss this the next time. If you are interested in the topic of attractive CV specimens, continue by studying these instructions, which include tips, tricks and advice known especially to experienced HR workers in big companies. What does an ideal model CV look like? In order not to forget a basic thing, let me mention that the CV is sometimes called, in a rather sophisticated and professional way, curriculum vitae. Although it sounds horrible and it is not very easy to pronounce, the meaning is the same – a CV. Owing to the complexity of this term, some Internet users look for a CV under the shortened phrase of CV sample instead of a curriculum vitae sample for downloading onto your computer. You are most probably wondering about how to write a CV which would be as modern, dynamic and successful as you are or want to be. As mentioned above, you perhaps don’t feel like creating such a CV specimen from scratch; you would like to use an aid or a tool. We have a very interesting trick for you. We operate an ingenious service, the so-called online CV generator, which may literally change your life; therefore continue by selecting a suitable graphic CV template below. A classical sample CV form follows. It is not really bad, but we must say, making no bones about it, that the CV sample is exactly the type of CV used by 99 % of job applicants – it is better to be included in the one percent, distinguish yourself and win this important race, one of the most important races in your life! After all, we spend more than half of our lives at work! !